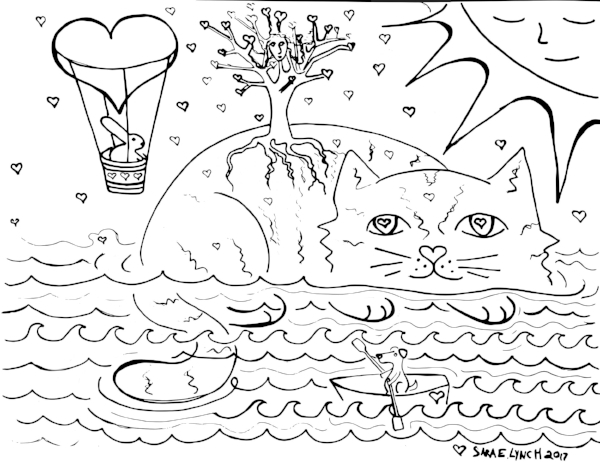 I've had this idea of making some sort of Cat Island type coloring page for over a year now and I figured Valentines Day was a good excuse to finally make it happen. You can download a free printable version here or if you are local, come by TAUNY on Saturday anytime from 2 to 3:30 and grab one in person. You can also make yourself a sweet pair of earrings or just say hi and check out my work that is on display currently. I will be bringing a fun mix of unexpected vintage components and beautiful semi precious stones available for you to play with. Learn more about that here and hope to see you soon!